The individual who will be filling the presidential position following Haas' retirement will have big shoes to fill, as Haas is an extremely beloved leader at GVSU. The president represents the goals of the university, and the impact that individual has on the campus community cannot be understated. Understanding this, the committee has to be incredibly thorough in its search for the next face of GVSU. The importance and impact of the role of university president was particularly exemplified early this year when Michigan State University's then-President Lou Anna Simon was called on by students and alumni alike to resign. The mistrust and disgrace brought by the Larry Nassar scandal, and ultimately Simon's presidency at MSU, has now stigmatized the university for years to come. Not only was Simon's involvement and knowledge of the Nassar scandal unpalatable, but on top of that, she fully intended to stay on as the head of MSU, and the board backed her continuation, too. It wasn't until the unanimous—and notable—public outcry calling for her resignation that Simon made the decision to step down. Simon's treatment of the situation following its publicity was extremely inappropriate, the opposite of what it should have been considering her role as the leader of MSU. It's inevitable that when looking for the next president of GVSU, the committee will factor in what occurred at MSU this year, as well as the positive, progressive stance Haas has taken when addressing the topic of sexual assault. One of the most important things to look for in Haas' replacement is that the next president is equally mindful of the GVSU community. Haas has, since his beginning, strived to create an inclusive, uplifting campus environment for all. This is something that should be in the forefront for the committee members when the presidential candidates are interviewed. In his time at GVSU, Haas has made it clear that the students are his focus. Whoever the PSAC finds in its search would do well to make sure that students remain a priority of the university president. Through Haas' steadfast commitment to students, GVSU has expanded in square footage and stature. The university consistently finds itself named in top regional college lists. 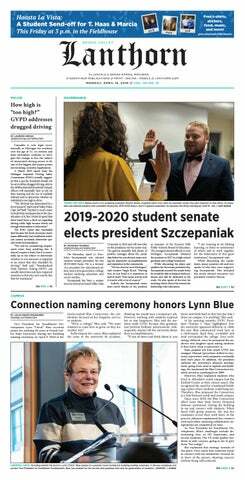 Jonathan Bowman, the PSAC's student representative and student senate president, said he expects the replacement to be able to meet the various standards of the student body, adding that "all students have different needs." The PSAC is faced with a difficult task. It may not be easy to find a replacement for Haas, but GVSU's fourth president can serve as a template for its future leaders.